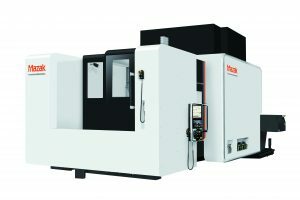 The VORTEX-e series vertical machining centers are perfect for job shops as well as aerospace and heavy construction-part manufacturers focused on accurate, high-volume production. 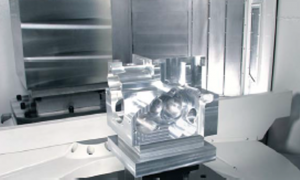 Equipped with a tilting spindle, the machine has full 5-axis and multiple-surface machining capabilities that allow it to productively cut large, complex parts from titanium, aluminum and steel. 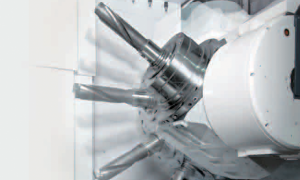 Configurations available also contain setups with two-pallet changer that provides unattended operations and off-cycle part setup. 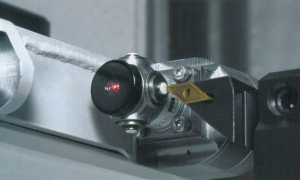 This simple, efficient form of automation allows operators to load, unload and inspect parts on one pallet while the machine works on the other undisturbed.